In June, we joined our good friends Mike and Tom of Cold Spring Brewing for our first homebrew collaboration beer! Despite this being the first-ever Third Leap collaboration, we have always held the idea in high regard. Over the years, we have developed two basic criteria for collaboration; authentic friendship and organic foundation – and the brewday with Cold Spring checked both boxes. Cold Spring Brewing has been on my radar for the better part of a year, since Mike and Tom began the transition from extract to electric brewery. I have known Tom for over a decade and was able to reconnect with him in 2016 over several cans of Tree House. I met his brother, Mike, a few months later during the founding of the 413WhaleHunterz Craft Beer Tasting Group. We share many similarities in beer interest, specifically juicy New England IPAs (NEIPAs), bold barrel-aged stouts, and complex wild ales. 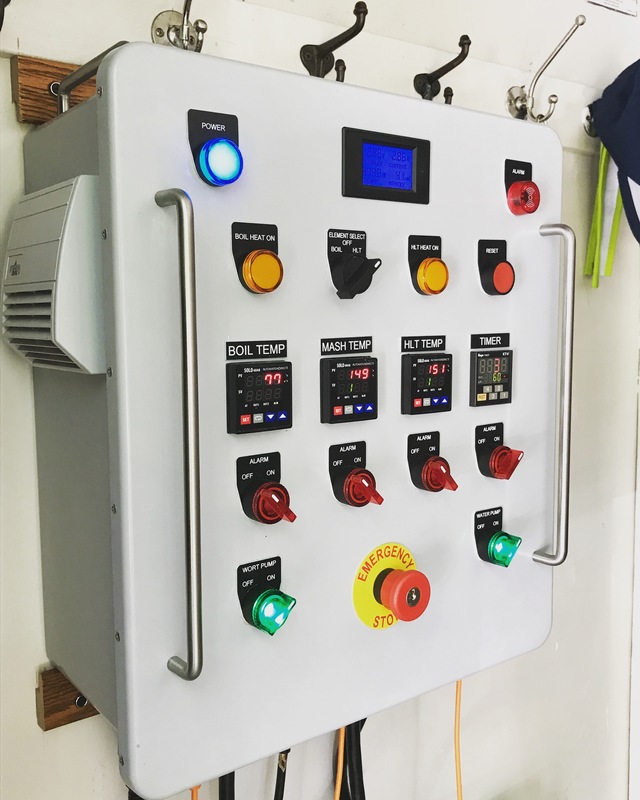 Collaboration was a logical step for both homebreweries and everything came together with ease. The foundation for the collaboration recipe was my Massachusetts foraged yeast. Knowing it was well suited for farmhouse ales, Mike and Tom ultimately decided on a fruited sour saison concept. 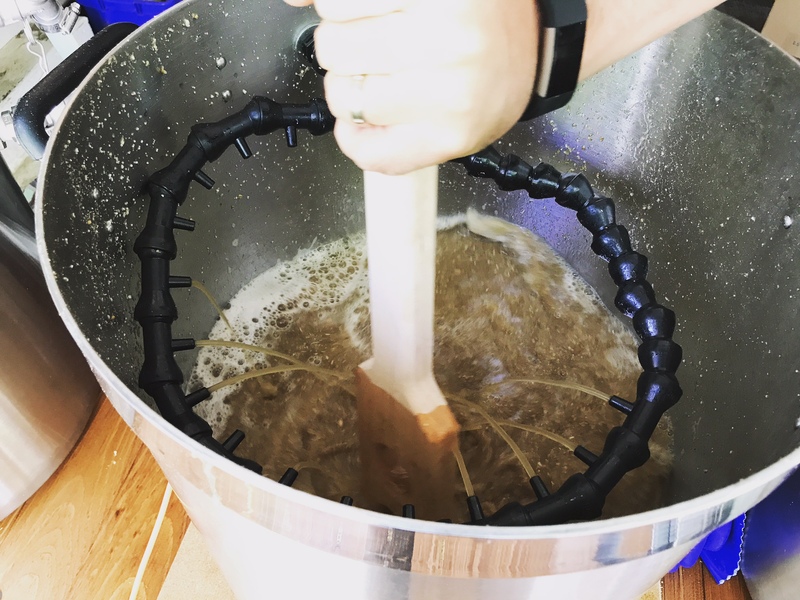 We worked together to build a grist and hop bill similar to Farm Bière (one of my favorite recipes so far). And we capped-off the recipe with raw (untreated) Belchertown, MA water to incorporate even more locale. It was fun to sit back and assist (as opposed to orchestrate) on brew day! 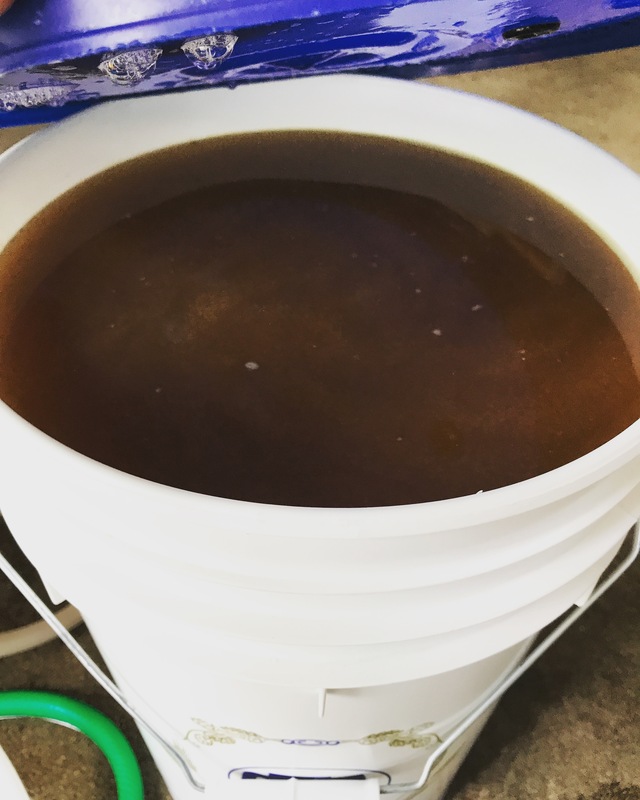 Since this was only Cold Spring’s third overall batch, we were a little low on pre and post boil volumes, but besides that small hiccup, the brew day was uneventful. We even managed to sneak in a mini 413WhaleHunterz tasting which was capped off with one of my last bottles of Domestication – Third Leap’s first ever wild homebrew (circa 2013). 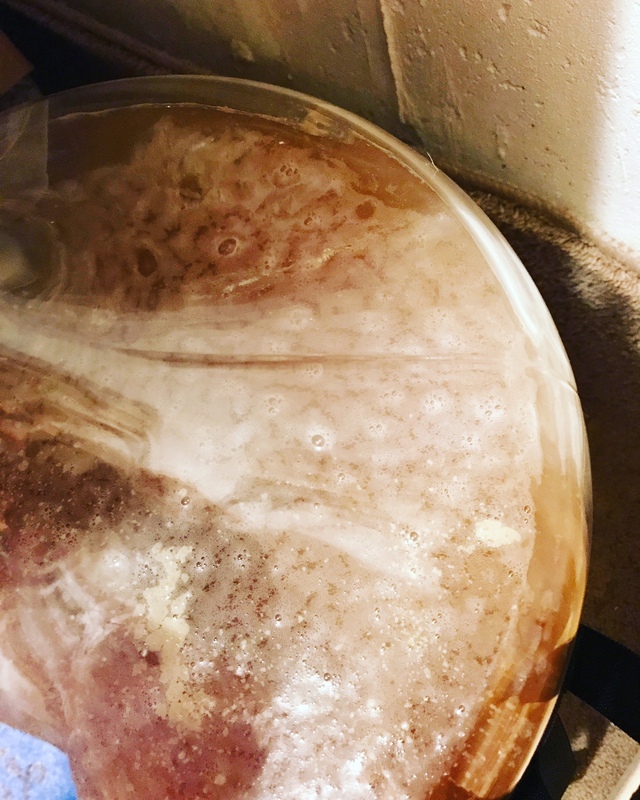 My Massachusetts foraged yeast was pitched into the fermenter at 72 degrees and the beer was fermented for 2 1/2 weeks before being transferred to a glass carboy where it received a pitch of my house microflora. The tentative plan is to age the beer for approximately 8-9 months before distributing the beer into various carboys with fruit purée. Two months later, the collaboration beers will be bottled and enjoyed at a future 413WhaleHunterz beer tasting! 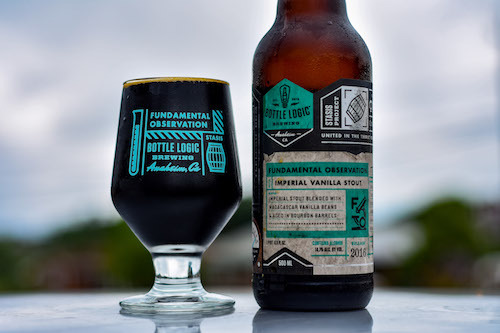 Below are some photos of the collaboration beer. The recipe follows. Description: A collaborative take on the modern-American, mixed cultured saison aged on a variety of fruit purées. 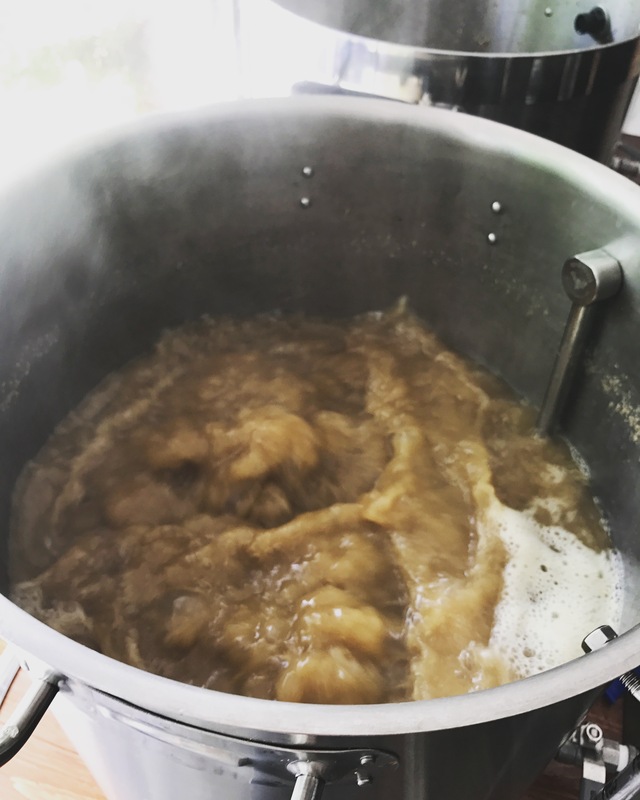 Notes: Served as assistant brewer to Mike and Tom on brewday 6/25/2017. Mashed using 1.5 qt/gal and batch sparged. No pH readings during brew day. Only yielded 7 gallons (instead of 10) due to dialing in the brewhouse specifications. Pitched yeast in the late night. 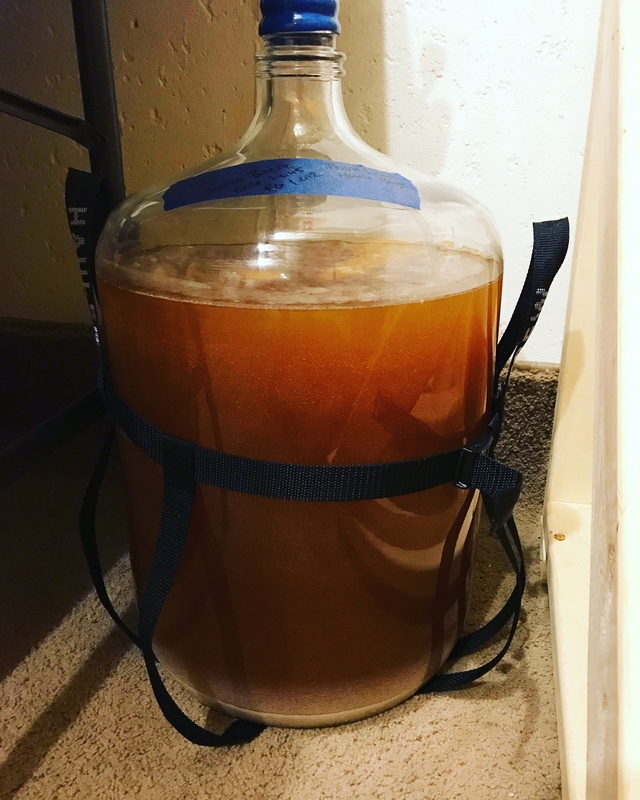 7/13/2017 – Racked to glass carboy and pitched house microflora.